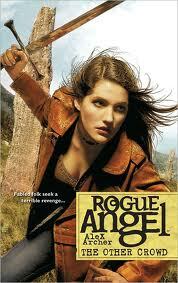 Two angels given mortal flesh are sent to guard two star-crossed lovers, born scions of rival merchant houses. 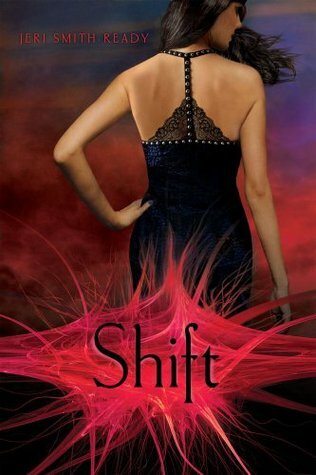 At first, it looks as though love will conquer all, and the rift will finally be mended. But there are those who hate the word peace with a passion so much that it poisons everything they touch, corrupting house to turn against house, mother to turn against child, and angel to turn against angel. 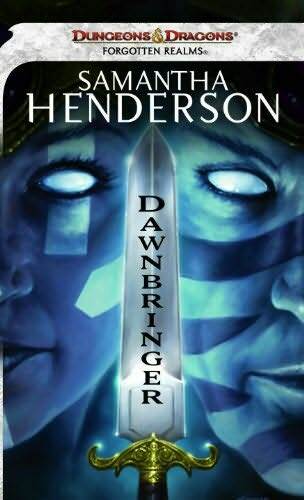 Dawnbringer is the perfect meld between classic and contemporary fantasy, with shades of Romeo and Juliet, told from the perspective of guardian angels, in a world where sorcery and monsters are commonplace. It got worse. Jake found out that the Feds had lied to him about Delilah being a murderer as well as a bank robber, and they had lied about this being his last job for them—he was too valuable for them to let him go. And things were even worse than Jake imagined. 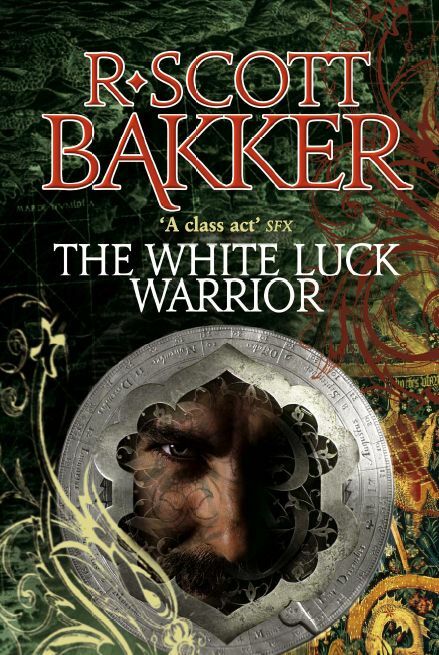 There was a secret war being waged by opposing forces of magic-users, and Jake had no idea that he had just attracted the attention of one side, whose ruthless leaders were of the opinion that Jake was far too dangerous to be permitted to live . . .
Colin Harten and his parents had fled across the ocean to escape the Family wars in Andover. But trouble followed them and their fellow refugees to this new land, forcing them to abandon the settled areas and head into unexplored territory-the sacred grounds of a race of underground dwellers and warriors. It was here that they would meet their doom. Driven to the borders of a dark forest, they were attacked by mysterious Shadow creatures who fed on life force. 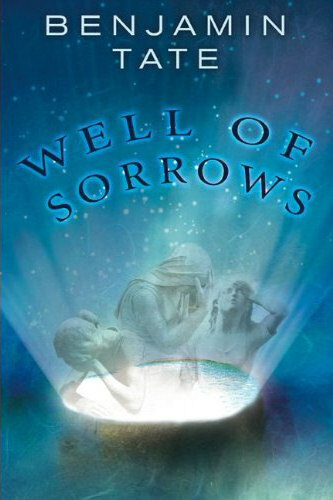 Only Colin survived to find his way to the Well of Sorrows-and to a destiny that might prove the last hope for peace in this troubled land. Now, Adrienne is dead, and the Council of Shadows is gathering its strength. To stop the Council from launching an apocalypse, Adrian and Ellen must ally with the Brotherhood, a resistance group dedicated to breaking the Council’s hold on humankind…by any means necessary. 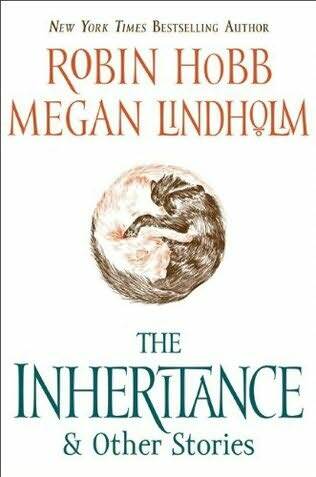 The Inheritance celebrates the boundless vision of Hobb and Lindholm, bringing together for the first time classic and new short works from both names. 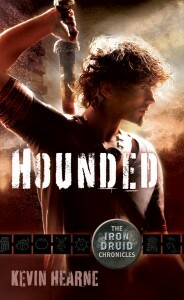 The collection is comprised of three generous offerings from Robin Hobb, including the title story, which makes its U.S. debut here, and a brand-new tale, “Cat’s Meat.” Megan Lindholm contributes her Hugo and Nebula Award finalist “A Touch of Lavender” and Nebula finalist “Silver Lady and the Fortyish Man,” as well as several classic and new gems. Each piece is prefaced by a brief yet informative author’s note, offering insight into each story’s genesis. Fascinating, compelling, and wonderfully entertaining, The Inheritance reveals the full spectrum of skill and talent of one of the world’s finest fantasy writers. Once before, the sentient races in the known part of the galaxy—humans, Orions, Ophiuchi and Gorm—had united to defeat alien invaders. Decades later, the member planets of the alliance had grown complacent—until a huge fleet of ships, each ship larger than a city, arrived, fleeing the loss of their home planet when their star went nova. They have traveled for centuries, slower than light, and now that they have arrived at the world they intend to make their new home. They regard the fact that the planet is already colonized by humans as a mere inconvenience, the more so since their mode of communication is so different from anything humans use that they do not consider humans and their allies to be truly intelligent. And the arriving aliens know—or, at least, they believe—that when they die they will be reincarnated, so they do not hesitate to attack humans and their allies with suicidal fury. And, if necessary, they will exterminate all humans and their allies, if that’s what it takes to occupy the planet. That was their attitude on arrival, but the conquerors have learned from human technology. They now know all about reactionless drives, so much more efficient than rocket engines. And they have learned about the jump points which make faster-than-light travel possible. With that knowledge, they plan to conquer the entire inhabited region of the galaxy—unless the old alliance of humans and other being can stop them . 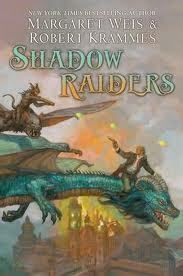 . .
A new epic swashbuckling fantasy series-by New York Times bestselling author Margaret Weis and Robert Krammes. The known world floats upon the Breath of God, a thick gas similar to Earth’s oceans, with land masses accessible by airship. The largest of these land masses are ruled by the rival empires of Freya and Rosia. Magic is intrinsic to the functioning of these societies, and is even incorporated into their technological devices. But now a crucial scientific discovery has occurred that could destroy the balance of power-and change the empires forever. Times are hard for newly minted vampire Merit. Ever since shapeshifters announced their presence to the world, humans have been rallying against supernaturals-and they’re camping outside of Cadogan House with protest signs that could turn to pitchforks at any moment. 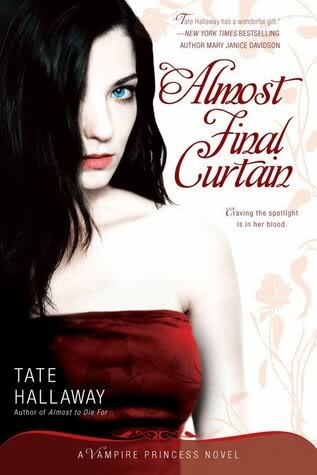 Inside its doors, things between Merit and her Master, green-eyed heartbreaker Ethan Sullivan are…tense. But then the mayor of Chicago calls Merit and Ethan to a clandestine meeting and tells them about a violent vamp attack that has left three women missing. His message is simple: get your House in order. Or else. Instructed to travel to Ireland and return with faerie footage, archaeologist Annja Creed figures it’s a joke assignment. 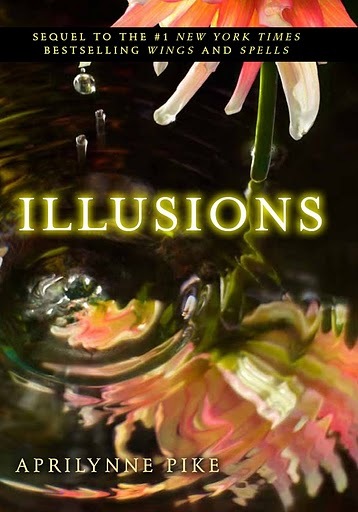 But people have vanished and she soon realizes there’s more in play than mythical wee folk. With the unsettling notion that something otherworldly is in the air, Annja is torn between her roles as an archaeologist and a warrior. But can her powerful sword protect her from the threat of violence…or the Other Crowd? When Maggie Graham lost her job and her apartment fell to pieces, she decided to flee New York City for a while and hide in Vermont, at the Crossroads Theatre. She hadn’t planned to audition, yet soon found herself part of the summer stock cast. But her previous acting experiences couldn’t prepare her for the theater’s unusual staff-and its handsome, almost otherworldly director. Graphic novelist Willow Tate is a Visualizer, able to draw images of beings from the realm of Faerie, bringing them from their world to ours in the process. 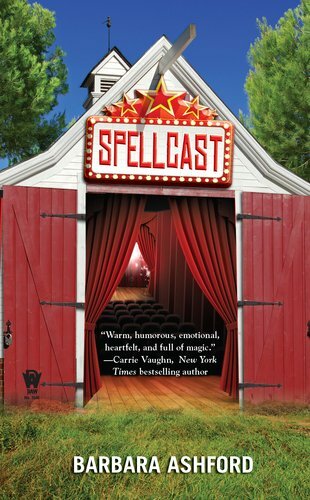 After a ten-foot-tall red troll follows her from Manhattan to Paumanok Harbor in the Hamptons, Willow realizes that many of her relatives and their neighbors possess psychic talents-truth- knowing, scrying, weaving wishes, picking lucky numbers, and more. So when magic and mayhem return to Paumanok Harbor, and Willow is called upon to rescue the town, she enlists the local talent. Three magical mares are searching the Long Island village for a missing colt, and their distress is causing sleeping nights, bad tempers, and dangerous brawls among the gifted but peculiar residents. 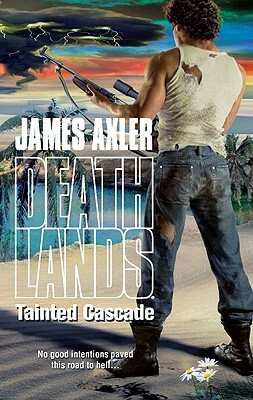 The blighted aftermath of a global nuclear showdown, Deathlands exacts a blood price. The living pay it; the dead don’t care. 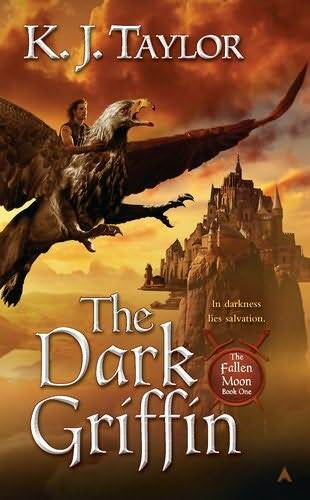 For one legendary band of warriors, this barbaric new world holds a chance for redemption: the secrets of the past. They roam a disfigured America, searching for pre-dark tech…seeking the path to a future worth living. Utah’s Great Salt Lake Desert remains a death pit of scorching heat, cannies and grim odds. Ryan Cawdor and his group survive the trek there, only to be drugged, robbed and left for the slave trade. Escaping their captors leaves them alive but stripped of their prized gear: their weps, J. B. Dix’s glasses, Dr. Mildred Wyeth’s medical kit and, worse, her secret codex. The companions must rely on each other to challenge their enemy and settle the score. 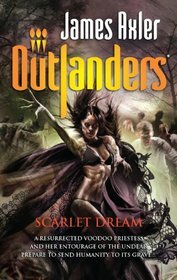 World Fantasy Award-winner Jonathan Strahan delivers the fourth volume of this series, once again demonstrating his keen editorial eye. 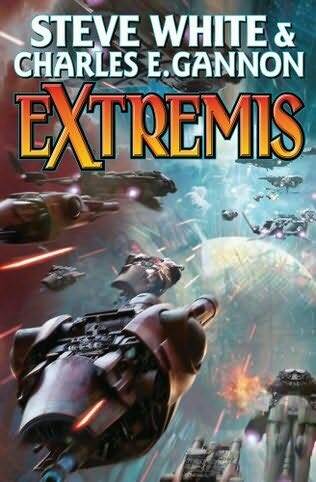 The multi-award winning Eclipse series (Hugo, Nebula, World Fantasy, Locus, Aurealis) is the only on-going anthology for original non-themed science fiction and fantasy, and its contents have been regularly recognized as some of the most compelling stories of the year, both on awards ballots and on best-of-the-year lists. 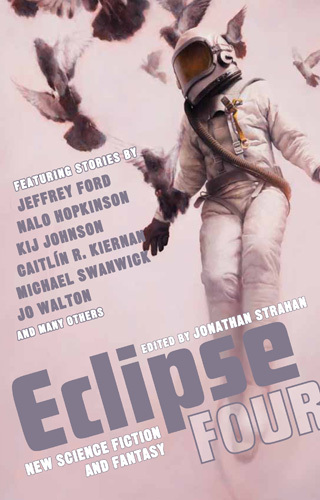 Eclipse 4 delivers new fiction by some of the genre’s most celebrated authors, including Peter Beagle, Emma Bull, Andy Duncan, Elizabeth Hand, Gwyneth Jones and Michael Swanwick and Many others. 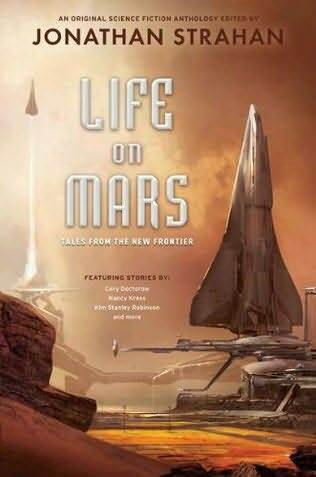 The Liaden Universe® series has enthralled thousands of readers, and now two of its most exciting space adventure novels are combined in one popularly-priced Omni-trade volume. Plan B: Val Con yos’Phelium is a fugitive. The heir of Clan Korval is wanted by the covert Liaden agency known as the Department of the Interior, whose rulers have declared unofficial war against the entire clan. 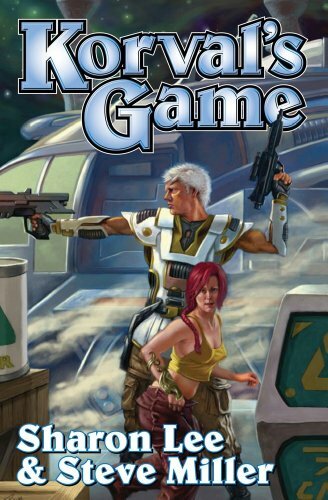 With only his love, Miri Robertson, by his side, Val Con plans a desperate gamble by forming an alliance with Clan Erob on the planet where Miri was born. But Val Con’s cousin, Shan yos’Galan, can’t wait for help that may never arrive. With enemy agents closing in, he invokes Plan B—setting in motion a series of events that will have dire consequences, not only for him and his life-mate, Priscilla Mendoza, but all of Liad . . . 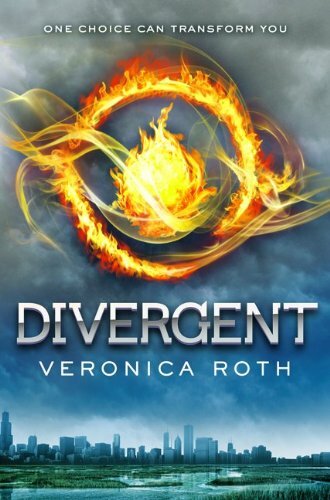 I Dare: On the run from the agents of the Department of the Interior, Val Con has been separated from Miri. Shan, Val Con’s cousin, and Shan’s life-mate Priscilla, continue to search for him, believing that he’s the Clan’s last hope for survival. But the DOI is attacking Clan Korval in a more subtle fashion. Pat Rin yos’Phelium—Val’s ne’er-do-well, nearly identical cousin, gambler and shooter—is offered control of the clan. The DOI believes they can manipulate him into serving their agenda. They’re wrong . 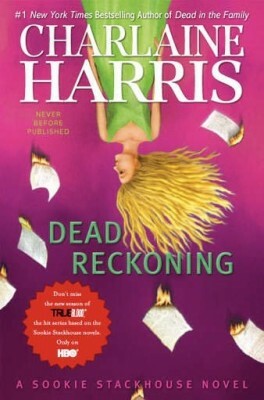 . .
New in the #1 New York Times bestselling Sookie Stackhouse series-the basis for HBO(r)’s True Blood! 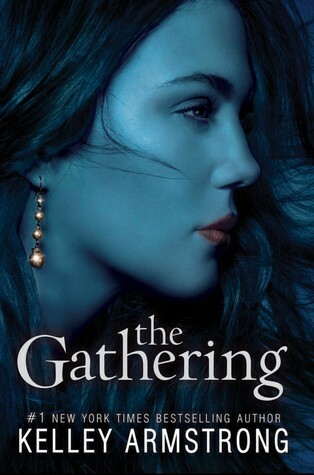 As Aura’s search uncovers new truths, she must decide whom to trust with her secrets…and her heart. 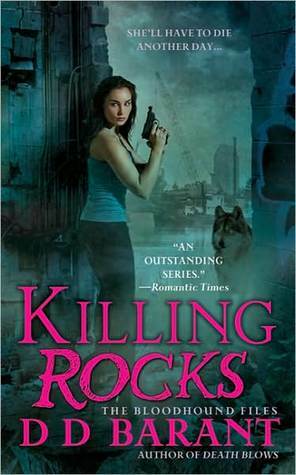 New York Times bestselling author Rachel Caine is “a first- class storyteller” (#1 New York Times bestselling author Charlaine Harris). Laurel hasn’t seen Tamani since she begged him to let her go last year. Though her heart still aches, Laurel is confident that David was the right choice. 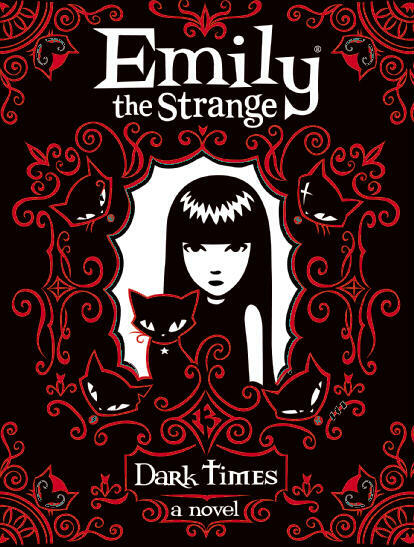 An undercurrent of wit and subtle sarcasm turns this dark story of demons, magic, and dysfunctional families into an affecting and fun read. Mae–don’t call her Mavis–and her brother Jamie, tortured Alan and his demon brother Nick, and other memorable characters are back in this sequel to Brennan’s excellent The Demon’s Lexicon (S & S, 2009). 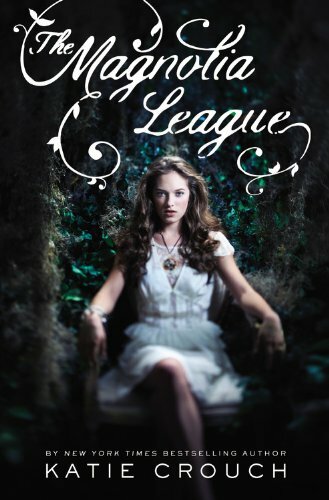 The book doesn’t disappoint as demons are summoned, duels are fought, and spells are cast throughout modern-day England. 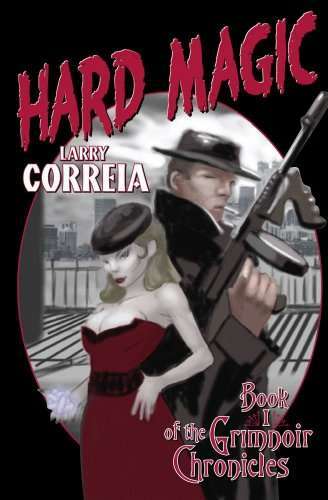 Jamie is being recruited by a magician named Gerald, head of the group that previously tried to kill him and Mae. Once again, she turns to Alan and Nick for help protecting Jamie. In exchange, Mae agrees to help Nick learn to act more human. The outcasts must navigate a path between rival magicians’ circles and demons hungry for human souls while trying to unlock the secret to Gerald’s newfound powers. Mae, a tough and sassy heroine, is torn by her attraction to three very different men. 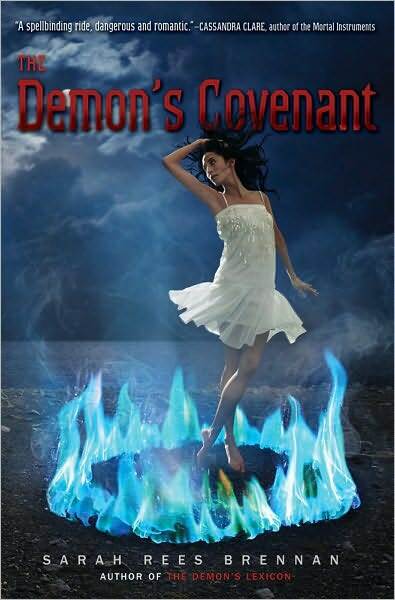 Conflicting loyalties push her to the breaking point as secret–and maybe Faustian–deals are struck. 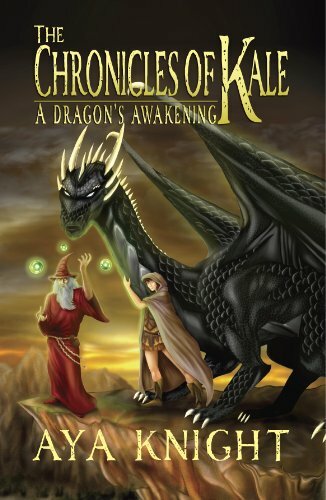 Danger and lies are everywhere as the story builds to a climactic battle. 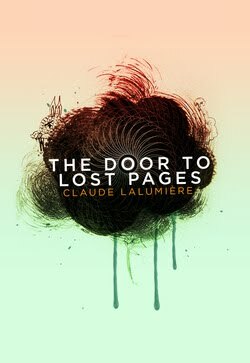 All is not resolved, leaving readers hungry for the trilogy’s final installment. 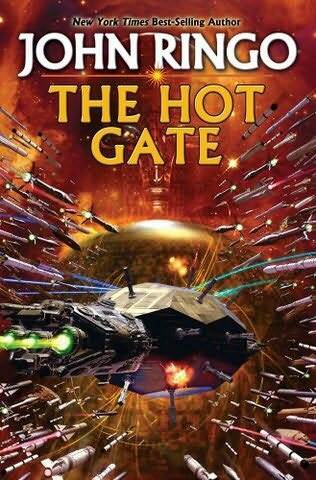 A few passages are confusing but overall the writing is strong with lots of action and engaging characters. 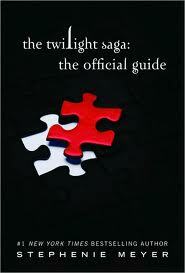 This book stands alone, but reading the first volume will make it even more enjoyable. 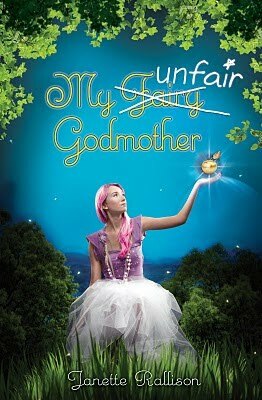 Fans of Laurie Faria Stolarz, Casandra Clare, and Rosemary Clement-Moore will be enchanted. Craving the spotlight is in her blood. 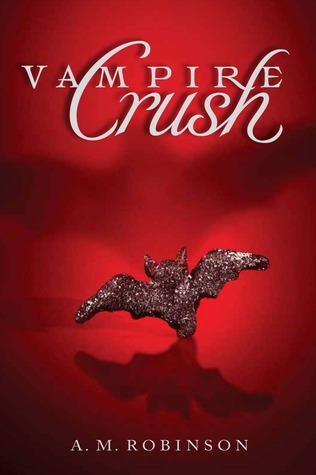 Ever since high school student Anastasija Parker discovered she was vampire royalty, her life has been sort of crazy. The half-vampire- half-witch just wants some normalcy, and trying out for the spring musical seems like the perfect fix. Blood brothers . 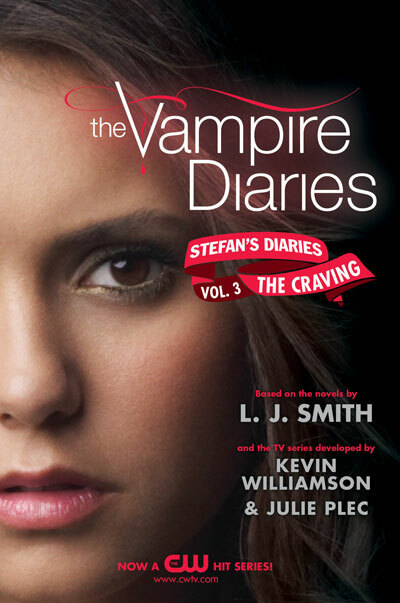 . .
After his brother, Damon Salvatore, betrays him in New Orleans, Stefan starts over in Manhattan. 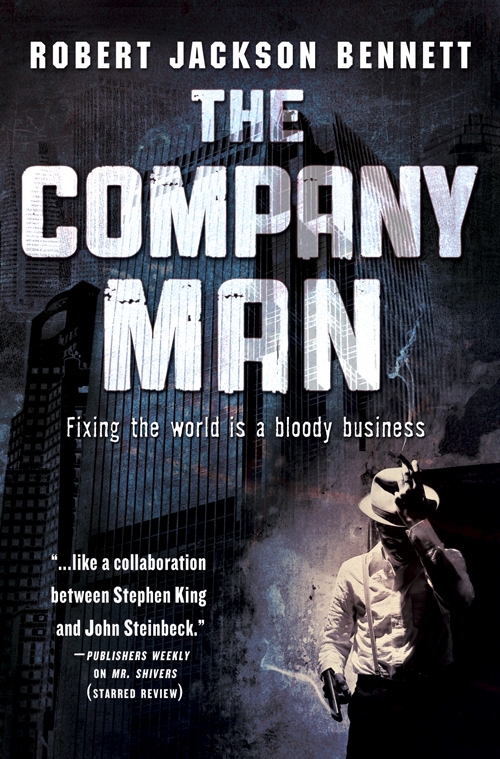 Vowing never to harm another human, he roams the streets, trying to disappear into the city’s chaos. But just when he thinks he’s left his past behind, Stefan discovers that he can never escape his brother. Damon has grand plans for the vampire Salvatore brothers—whether Stefan likes it or not. Together, they take New York by storm. 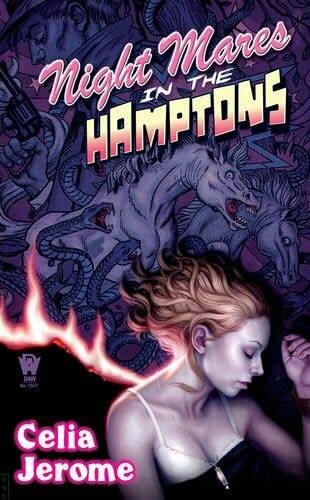 When their exploits end up on the society pages, an old enemy resurfaces—one hell-bent on revenge. Here’s a list of all the fantasy, sci-fi, and horror books coming out this week. There are so many I split the list up into a few parts. The only one who escaped . . . And the one who could destroy them all. Incarceron, the living prison, has lost one of its inmates to the outside world: Finn’s escaped, only to find that Outside is not at all what he expected. Used to the technologically advanced, if violently harsh, conditions of the prison, Finn is now forced to obey the rules of Protocol, which require all people to live without technology. 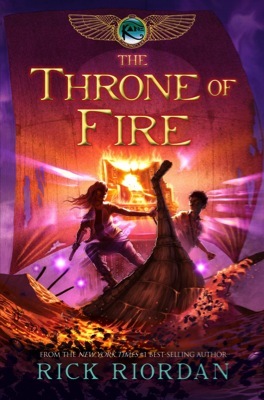 To Finn, Outside is just a prison of another kind, especially when Claudia, the daughter of the prison’s warden, declares Finn the lost heir to the throne. When another claimant emerges, both Finn’s and Claudia’s very lives hang on Finn convincing the Court of something that even he doesn’t fully believe. Meanwhile, Finn’s oathbrother Keiro and his friend Attia are still trapped inside Incarceron. 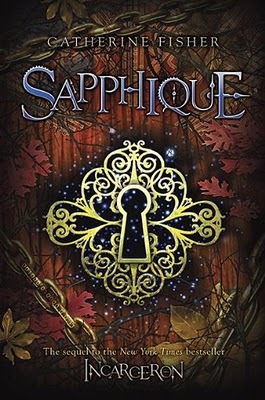 They are searching for a magical glove, which legend says Sapphique used to escape. To find it, they must battle the prison itself, because Incarceron wants the glove too. 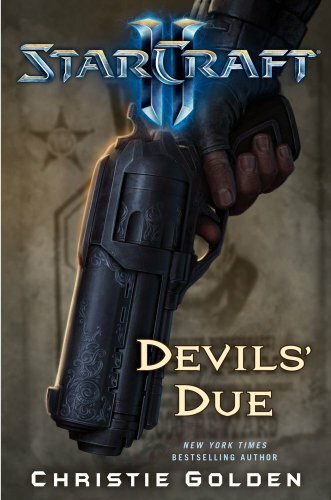 The non-stop sequel to The Dark Divine delivers an even hotter romance and more thrilling action than Bree Despain’s first novel. Grace Divine made the ultimate sacrifice to cure Daniel Kalbi. She gave her soul to the wolf to save him and lost her beloved mother. 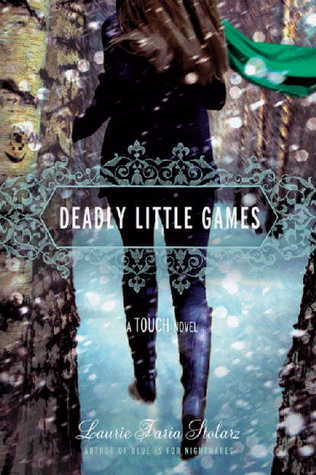 When Grace receives a haunting phone call from Jude, she knows what she must do. She must become a Hound of Heaven. 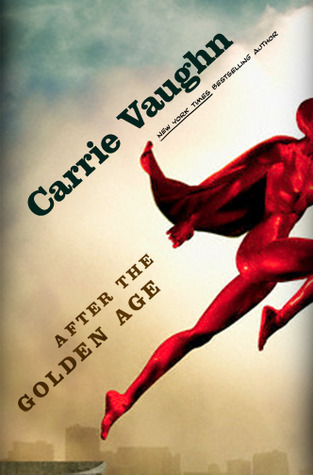 Desparate to find Jude, Grace befriends Talbot – a newcomer to town who promises her that he can help her be a hero. 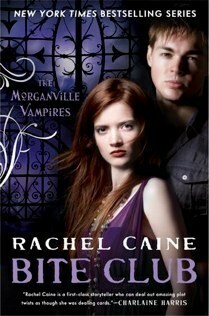 But as the two grow closer, the wolf grows in Grace, and her relationship with Daniel begins to crumble. 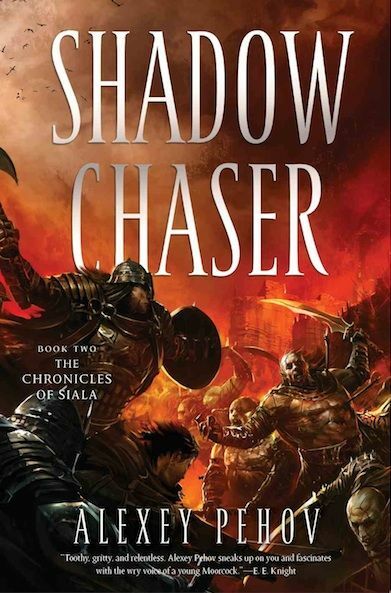 Unaware of the dark path she is walking, Grace becomes prideful in her new abilities – not realizing that an old enemy has returned and deadly trap is about to be sprung. Readers, raveous for more Grace and Daniel, will be itching to sink their teeth into The Lost Saint. I swear, my life was always totally normal. Normal house, normal family, normal school. My looks are average, I don’t have any superpowers, no one’s showing up to tell me I’m a princess—you get the picture. But when my junior year started, something not normal happened. There were new kids at school . . . new kids with a wardrobe straight out of a 19th-century romance novel, and an inexplicable desire to stay at school until sundown. And on top of that, James Hallowell showed up. James, who stole my sandwiches in fourth grade and teased me mercilessly through middle school. James, who now seems to have the power to make my heart race any time he comes near. But something weird is going on. Because James rarely goes out during the day. And he seems stronger than your typical guy. And he knows the new kids, all of whom seem to be harboring some kind of deep secret. . . .
Heaven-sent? Ellie was never particularly good at talking to boys—or anyone other than her best friend and fellow outcast, Ruth. Then she met Michael. Michael is handsome, charming, sweet. And totally into Ellie. It’s no wonder she is instantly drawn to him. But Michael has a secret. And he knows Ellie is hiding something, too. They’ve both discovered they have powers beyond their imagining. Powers that are otherworldly. 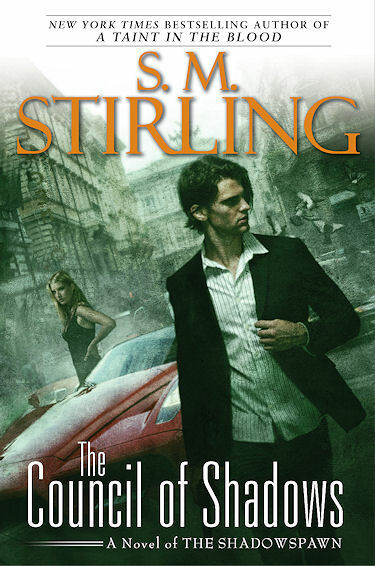 Ellie and Michael are determined to uncover what they are, and how they got this way . . . together. But the truth has repercussions neither could have imagined. Soon they find themselves center stage in an ancient conflict that threatens to destroy everything they love. And it is no longer clear whether Ellie and Michael will choose the same side. 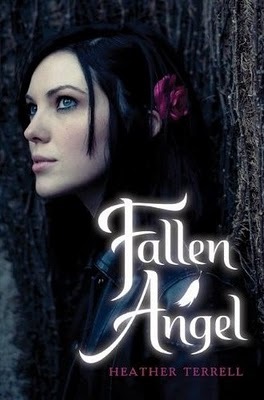 In this electrifying novel, Heather Terrell spins a gripping supernatural tale about true love, destiny, and the battle of good versus evil. Beware of a kiss under the full moon. It will change your life forever. Celeste Parker is used to hearing scary stories about werewolves—Legend’s Run is famous for them. She’s used to everything in the small town until Brandon Maddox moves to Legend’s Run and Celeste finds herself immediately drawn to the handsome new student. 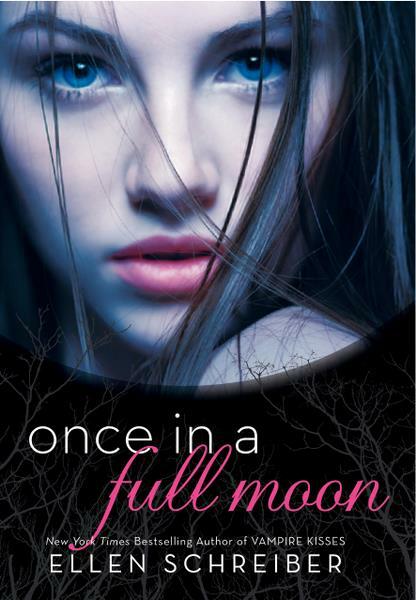 But when, after an unnerving visit with a psychic, she encounters a pack of wolves and gorgeous, enigmatic Brandon, she must discover whether his transformation is more than legend or just a trick of the shadows in the moonlight. Her best friends may never forgive her if she gives up her perfect boyfriend, Nash, for Brandon, who’s from the wrong side of town. But she can’t deny her attraction or the strong pull he has on her. Brandon may be Celeste’s hero, or he may be the most dangerous creature she could encounter in the woods of Legend’s Run. Psychic predictions, generations-old secrets, a town divided, and the possibility of falling in love with a hot and heroic werewolf are the perfect formula for what happens . . . once in a full moon. Vampires have powers beyond human comprehension: strength that defies logic, speed that cannot be captured on film, the ability to shapeshift and more. But in matters of the heart, no one, not even the strikingly beautiful and outrageously wealthy Blue Bloods, has total control. 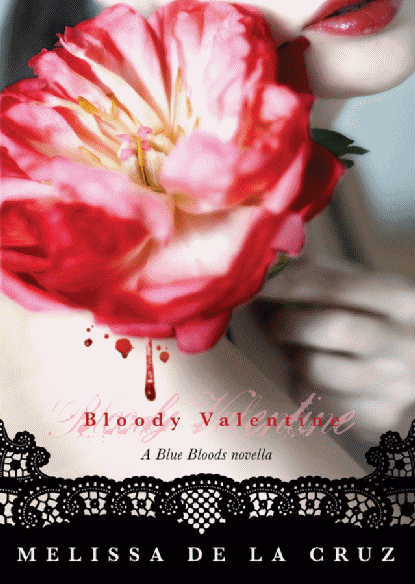 InBloody Valentine, bestselling author Melissa de la Cruz offers readers a new story about the love lives of their favorite vamps – the passion and heartache, the hope and devastation, the lust and longing. Combined with all the glitz, glamour, and mystery fans have come to expect, this is sure to be another huge hit in the Blue Bloods series. 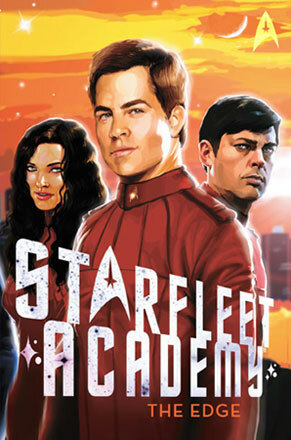 A new Starfleet Academy series for teens–filled with romance and adventure! In The Competitive Edge, Kirk finds out how much of a toll the intense training classes and grueling schedule of academy life is taking on all the cadets, including himself. But some recruits seem better equipped to handle the challenges. Is there something that is giving them an edge? Kirk is determined to find out, especially since one of the cadets with a little something extra is his new girlfriend. Gideon Dixon was a good solider but bad at everything else. So when he hears about the Valhalla Project it seems like a dream come true. 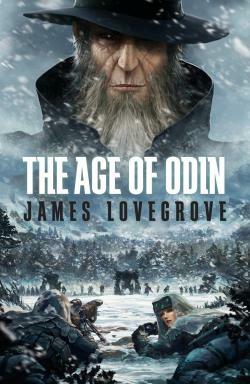 However, the last thing Gideon expects is to finding himself fighting alongside the gods of the ancient Norse pantheon. Original.Gideon Dixon was a good solider but bad at everything else. Now the British Army doesn’t want him any more. So when he hears about the Valhalla Project it seems like a dream come true. They’re recruiting from service personnel for execellent pay with no questions asked to take part in unspecified combat operations. 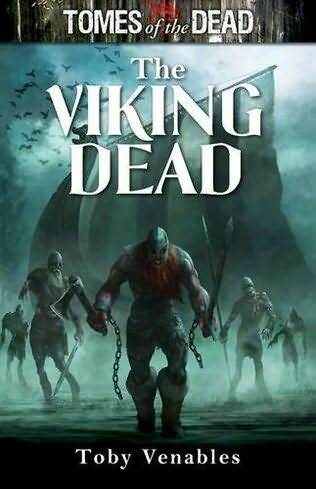 The last thing Gideon expects is to finding himself fighting alongside the gods of the ancient Norse pantheon. The world is in the grip of one of the worst winters it has ever known, and Ragnarok-the fabled final conflict of the Sagas-is looming. The universe shifts and changes: suddenly you understand, you get it, and are filled with a sense of wonder. That moment of understanding drives the greatest science-fiction stories and lies at the heart of Engineering Infinity. Whether it’s coming up hard against the speed of light and, with it, the enormity of the universe, realising that terraforming a distant world is harder and more dangerous than you’d ever thought, or simply realizing that a hitchhiker on a starship consumes fuel and oxygen with tragic results, it’s hard science-fiction where sense of wonder is most often found and where science-fiction’s true heart lies. 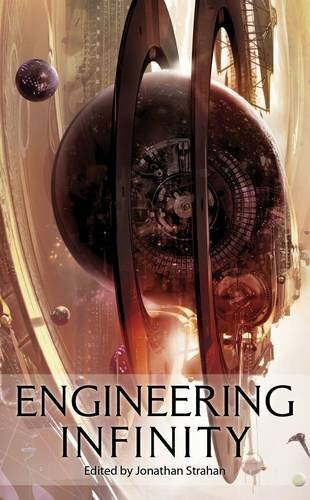 The exciting and innovative science-fiction anthology collects together stories by some of the biggest names in the field including Stephen Baxter, Charles Stross and Greg Bear. 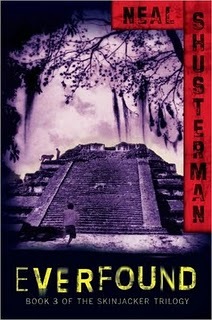 The insubstantial third entry in the Bloodhound Files (after March 2010’s Death Blows) has vampire NSA chief David Cassius assigning FBI profiler Jace Valchek to hunt down Asher, the crazy, evil shaman who first pulled her into an alternate universe in which vampires, golems, and werewolves outnumber humans 99 to 1. Sent to Las Vegas, this time Jace has to do without her trusty golem sidekick, Charlie, who appears to be drawn into a war for golem rights. Instead, she teams up with the perky shape-changing mage Azura, a stripper and magical Astonisher trained to deceive. 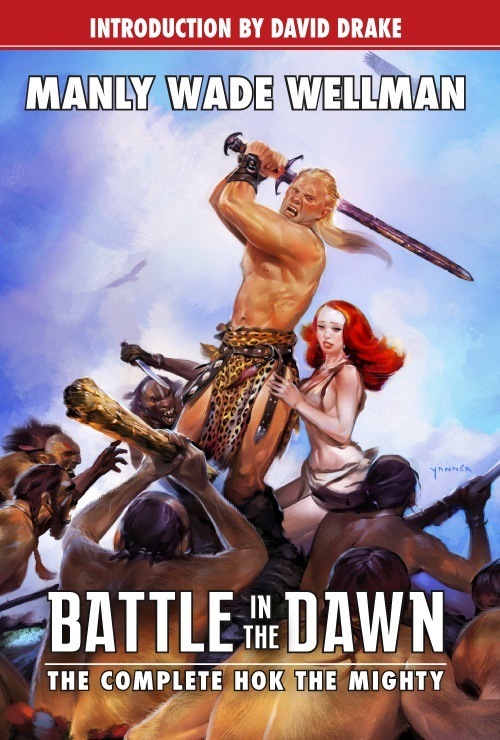 There is little development of established characters or furthering of the story arc, but the action crackles as the characters fall in and out of myths while making and breaking alliances and cracking wise. The Emperor is enraged. Primarch Magnus the Red, of the Thousand Sons Legion, has made a catastrophic mistake that endangers the safety of Terra. With no other choice, the Emperor charges Leman Russ, Primarch of the Space Wolves, with the apprehension of his brother from the Thousand Sons home world of Prospero. 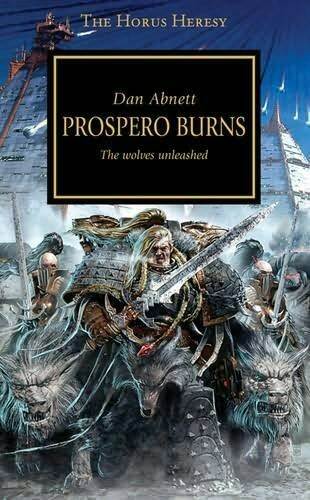 This planet of sorcerers will not be easy to overcome, but Russ and his Space Wolves are not easily deterred. 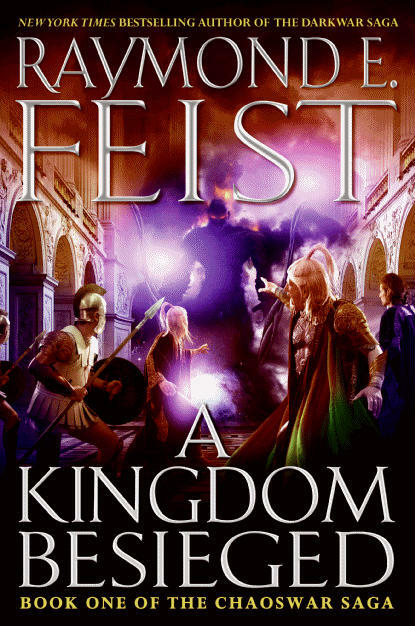 With wrath in his heart, Russ is determined to bring Magnus to justice and cause the fall of Prospero. In the late summer of a long ago year, a killer arrived in a small city. His name was Alton Turner Blackwood, and in the space of a few months he brutally murdered four families. His savage spree ended only when he himself was killed by the last survivor of the last family, a fourteen-year-old boy. Half a continent away and two decades later, someone is murdering families again, recreating in detail Blackwood’s crimes. Homicide detective John Calvino is certain that his own family—his wife and three children—will be targets in the fourth crime, just as his parents and sisters were victims on that distant night when he was fourteen and killed their slayer. As a detective, John is a man of reason who deals in cold facts. But an extraordinary experience convinces him that sometimes death is not a one-way journey, that sometimes the dead return. Here is ghost story like no other you have read. 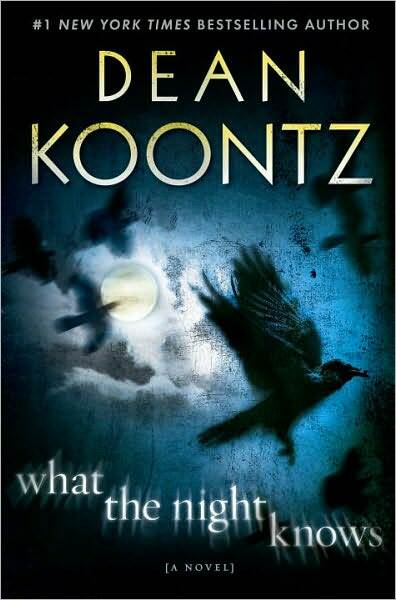 In the Calvinos, Dean Koontz brings to life a family that might be your own, in a war for their survival against an adversary more malevolent than any he has yet created, with their own home the battleground. 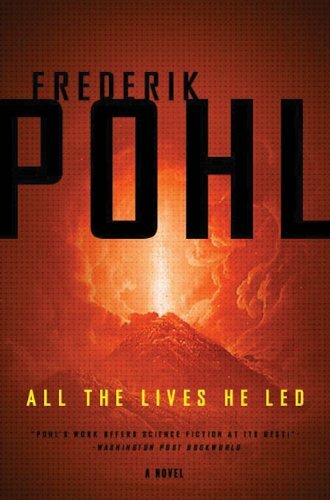 Of all his acclaimed novels, none exceeds What the Night Knows in power, in chilling suspense, and in sheer mesmerizing storytelling. Sigmar, the first Emperor, is a god amongst men, a peerless leader and an unbreakable warrior. Having defeated the Chaos invasion of Middenheim, the Empire knows a measure of peace. But in the vast deserts of Nehekhara, another empire is rising. Nagash, the most feared of necromancers, is determined to claim dominance over the Old World, crushing all before him with an unstoppable and nightmarish army. Legions of unnatural creatures swarm the Empire. 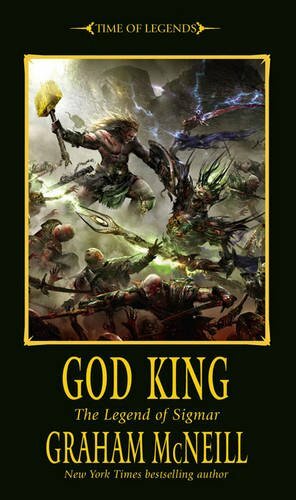 Sigmar must defend the lands of the living from the hordes of the dead and prevent Nagash’s terrible vision of power coming true. 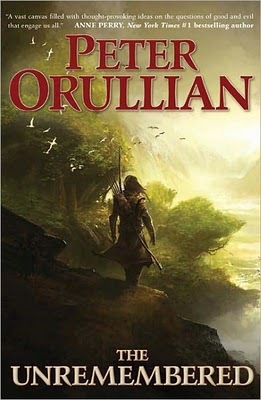 Being chosen as a griffin’s companion has allowed Arren Cardockson to gain a place of status within the land of Cymria. But Arren can never escape the prejudice that comes with his Northerner slave origins. For chained within the Arena where rogue griffins battle to entertain the crowds, there lies another soul crying out to be freed-a kindred spirit that will allow Arren to fulfill his destiny and release the darkness in his heart.